Ronaldo incurred an automatic booking for removing his shirt to celebrate the goal in Real's 3-1 win and minutes later was sent off for a second yellow card, this time for diving. The defining image of the previous 'Clasico' in the league last April was the sight of Lionel Messi defiantly showing the back of his shirt to the baying Real Madrid crowd after burying the winning goal to settle a thrilling contest 3-2 for Barcelona. 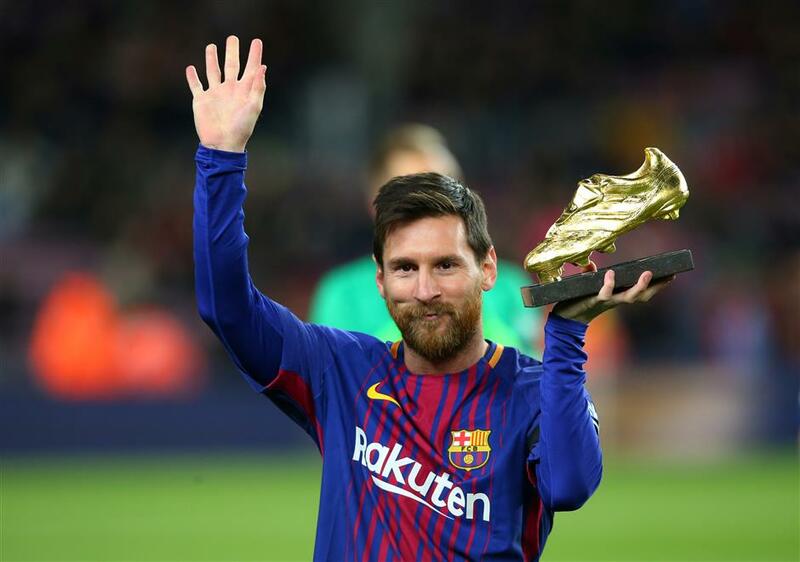 The goal, also the Argentine's 500th strike for his club, proved futile in Barca's pursuit of Real, which still won a first La Liga crown in five years, but has had a surprising knock-on effect on the current campaign. Cristiano Ronaldo, locked in a compelling battle with Messi for the title of being the best player in the world, replicated Messi's celebration four months later when he scored for Real against Barca at the Nou Camp in the Spanish Super Cup, but his actions had unintended consequences. Ronaldo incurred an automatic booking for removing his shirt to celebrate the goal in Real's 3-1 win and two minutes later was sent off for a second yellow card, this time for diving. Incredulous at the decision, he pushed referee Ricardo De Burgos Bengoetxea and was subsequently slapped with a five-game ban, missing Real's opening four Liga games. By the time Ronaldo made his first league appearance of the season in an eventual 0-1 defeat by Real Betis on September 20, Messi was already on a remarkable nine goals, while Real was seven points adrift of Barca at that stage. The champion hosts its bitter rival on Saturday sitting fourth in the Liga standings, 11 points behind Barca, although it has a game in hand. No side has ever won the Liga after falling 8 points behind the leader. Not helped by his lack of match practice, Ronaldo did not open his account in the league until his fourth league game, striking the winner against Getafe, while his second goal did not come until his ninth appearance, against Malaga. His two goals in the last league outing against Sevilla took him to four for the season, his worst campaign so far in nine years in Spain. Twenty-one players have scored more than the usually prolific Portuguese in Spain's top flight this season, with Messi leading the way with 14 goals. Ronaldo has compensated for his poor domestic form by maintaining his usual high standards in international competitions. He is the top scorer in this season's UEFA Champions League with nine goals and last weekend struck the only goal in the Club World Cup final against Gremio to help Real sign off 2017 with a club record five trophies. His floundering league displays have not affected his self-confidence, either. "There is not a more complete player than me and I believe I am the best player in the history of football, in the good and the bad moments," Ronaldo told France Football this month after winning the Ballon d'Or and tying Messi in being named world player of the year a record fifth time. With five goals in his last four games in all competitions, Ronaldo heads into the 'Clasico' in prolific form, and it would be no big surprise if he inspired Real to victory over Barca. But even if he does, Real will still face a huge task in chasing down the Catalans, who marched into an early lead while Ronaldo was shackled by his ban, partly due to mimicking Messi's iconic celebration.